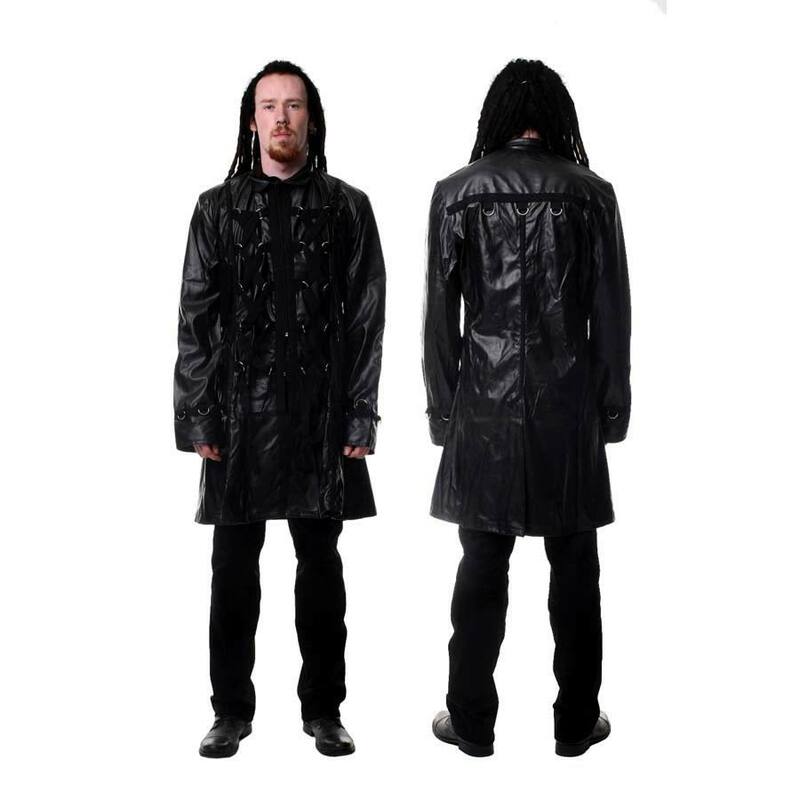 Leather look, short tailed men's coat with x-cross taping to front panels plus d-rings located across the shoulders and on the cuffs. 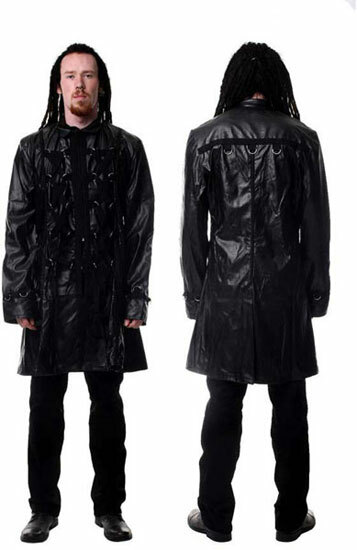 80% polyurethane 20% polyester. Imported from the UK.